When you first picked up a camera and began taking pictures, do you remember how you felt? As you snapped photos of your surroundings or your friends and family, you may have thought about how getting into photography would be your dream job (and may have thought about starting a photography business). Fast forward to today, and here you are, a wedding photography business owner. You did the research necessary to learn how to how to start a photography business, and now you spend your time doing exactly what you love and working with clients who adore you. From booking clients to meeting with vendors, from shooting engagement sessions to editing wedding photos – it is all a part of your business life now. If this is what you are looking to do, then read on. When you make the decision to find out how to start your own photography business, one of your top priorities is growth. We’ve created a comprehensive list of things you need to know to prepare, build, and sustain your growth, which we will cover in 4 separate blog posts. In the first post of this series, we will cover 4 ways to prepare your photography business for growth. *As a note, these tips can help you whether you are in your first year or are an established photography business. What do I need to start a photography business? What should I do to set up a photography business that is successful? Which steps do I take toward building a photography business right now? With everything you do in business, the key to growth is setting goals as a part of your photography business plan. When you first set out to start a photography business, sit down and write out the goals you needed to achieve to do so. While working toward an end goal for your business, every decision you make should be aimed at growing your wedding photography business and increasing your profit. If your focus is anywhere else but on your end goal, it will be harder to establish a brand that people recognize. As a business owner, it’s necessary to think of growth in terms of where you want to be in the future. The first step to this is to figure out where you are today. From where you are now, create a plan using goals and metrics to help you reach your long-term goal. Start by taking a look at the metrics of your photography business. How many weddings did you shoot last year and how much profit did you bring in? These numbers will help you to forecast your metrics for this year. Tip: Create a photography business plan template that you can adjust each year based on what you achieved the previous year. Tip: Make sure you also add in any Specialists you outsource to, such as ShootDotEdit for your wedding photo editing needs, into your budget. Once you’ve taken a look at where you currently are in your wedding photography business and where you want to be, it’s time to create a detailed plan that will help you get there. Any goal you set during this process should be reasonable and should be supported by metrics. Relying on the metrics of your business informs you of whether your goals are realistic and achievable. For example, a goal of making one million dollars in a year sounds like a great goal. But, is it obtainable? To help determine if this goal can be achieved, you could review your income from the previous year to see if it’s within reach of your goal. By using metrics in conjunction with your goals, you will be able to identify where you want to go and what you need to do to get there. Metrics help establish the framework for making your goals obtainable, and without them, goals may sound great but not be in reach. By having a purpose with metrics to support it, you are creating good systems that will help grow your photography business. Setting goals is the fastest way for you to improve your wedding photography business on a regular basis throughout the year. Once you create your overall goal for the year, break some of your larger tasks down into short-term goals. Short-term goals allow you to stay focused on your long-term goal but require less of your time and energy. When setting short-term goals, decide what aspects of your photography business you need to work on to grow, and what parts you can outsource to save you time. Outsourcing to specialists frees you up so you can focus on the tasks that only YOU can do. Vanessa Joy recommends being specific in the goals you set for your wedding photography business, especially when it comes to booking weddings. Where do you want to be in the next year of your wedding photography business? Review your goals and metrics from the previous year. What are you doing differently to achieve your goals this year? Choose your top 3 goals that are achievable and create at least 2 SMART metrics for them. Create a time frame for these goals to determine when you’ll check in to see how far along you are in terms of attaining the said goal. Since there are thousands of photographers in the industry who want to book weddings, your brand message has to stand out to reach your goals. When you are unique as a wedding photographer and have a strong central message, it will allow you to attract the right clients to your website and help set the stage for growth. Getting to know your clients is a way to develop your niche to deliver a brand message that captures their attention. Every photographer’s path differs when it comes to setting up a photography business, so it is important to stay true to who you are as a person and a photographer. It’s important to understand the difference between being unique and being different. Being unique and being authentic to who you are will set you apart from other photography businesses. Knowing who you are and what your passions are will help you to define what it is that makes you unique. Know why clients choose you. The more you can build a business around YOU, the less you can be copied, and the more your clients will want you. They will book you because they love YOU, and if they love you, they will love your work. How do you decide if you are a Generalist or a Specialist? Take a look at the events you have booked on your calendar. Are you shooting a variety of events from weddings, portraits, newborns, and landscapes? If so, you fit more into the category of a Generalist – clients can look to you for a variety of photography services. A Specialist focuses on one aspect of photography, such as wedding photography. Creating a specialized brand will send the message to clients that you only photograph weddings. Resource: Blog – What is a Specialist? Discover who you are and what makes you unique. Be authentic to yourself. Use words that resonate with who you are and your passion. Declare who you are and what makes you unique to the rest of the market. Deliver a message (through your website, social media, etc.) that reinforces your declaration of who you are. Sarah Roshan, ShootDotEdit Customer, specializes in outdoor wedding photography and markets to ideal clients that share that quality. 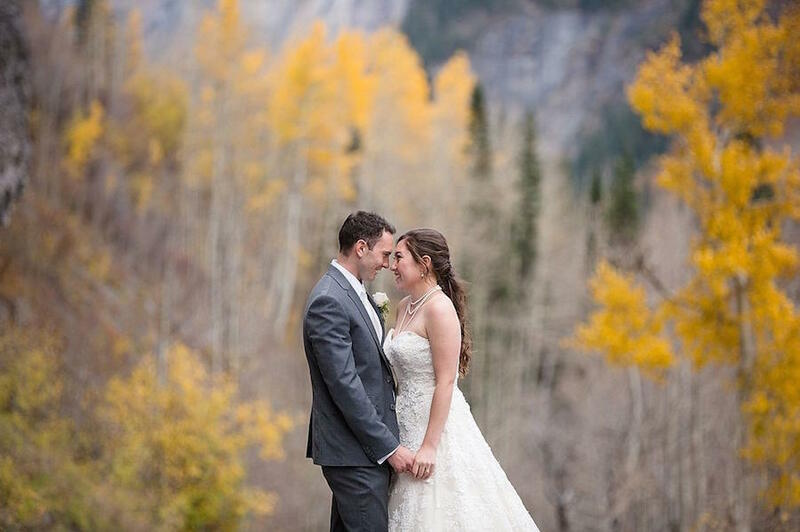 When you view her website, she shares images from her past weddings that focus on the outdoors, which helps her attract the right kind of client to her wedding photography business. Write down 5 things about you that make you stand out from other photographers. What do you offer in your services that other photographers do not? Determine whether you are a Generalist or a Specialist by writing down the types of events you shoot throughout the year. Do you notice that you book a variety of photography events, or do you consistently shoot the same events? Create a “want list” for events. What types of events do you want to shoot, and what are you going to do to achieve this goal? When you first started your photography business, you may have been thrilled to start a photo studio, to work your own hours, and to be your own boss. The truth is, opening a photography business may show you that you might enjoy not having a boss, but not necessarily enjoy being the boss. When you’re in charge, you have the responsibility of growing and maintaining your wedding photography business – that’s a lot of work and pressure. The E-Myth Revisited, by Michael Gerber, states that most new businesses are not started by entrepreneurs who set out to build a strong business, but rather, by technicians who enjoy the hands-on work themselves. As a photographer, you are a technician who is passionate about the work and your clients. Because of this, you may tend to focus on working IN your business rather than working ON your business. The Entrepreneur: You have the vision and the passion to implement ideas that will help to grow your business. The Artist: You have the vision and passion to create beautiful art with your images. The Manager: You are in charge of creating a vision to ensure success for your business. Within all three of your roles, it is necessary to implement systems that will keep you and your business organized at all times. Organization is key to running a smooth and productive business. As you narrow down the necessary steps it will take to start and grow your wedding photography business, create a manual that outlines every process involved in your business. Taking part in this exercise will help you to dial into your photography business and every aspect of running it. This will help you review everything you currently do, refine it to eliminate any unnecessary steps, expand on those that need clarification, and delegate tasks that do not need to be completed by you. By refining each system within your business, you are setting yourself up for success and can spend time focusing on other areas of your photography business. Write the Process: Write down everything you currently do in your wedding photography business. This list should be as detailed as possible so you know exactly what needs to be worked on by someone other than you. Simplify the Process: The next step is to take a look at your current tasks and figure out what steps can be removed. Also, take note of what steps only you can do. Assign the Process: As your business grows, start delegating or outsourcing your tasks to in-house employees or other businesses. Do you have systems in place for everything? In many cases, the clients you encounter in your photography business want their information as soon as possible. They expect a quick reply from you wherever you may be during the day. Since you probably receive hundreds of emails throughout the work week, setting up systems to manage your emails will help you stay on top of your communication. According to the McKinsey Global Institute, the average person dedicates 13 hours per week to reading, deleting, sorting, and sending emails. That’s nearly 30 percent of your work week. Schedule Time: As you create a calendar for the month, be sure to schedule time each morning to check your inbox. By beginning with this, you can respond to any urgent emails right away and then work on other projects right after. Prioritize Emails: Sort your emails as you receive them into urgent and ones that can be answered at a later time. This allows you to communicate with your clients and vendors in a timely manner without overwhelming yourself with emails that are not high priority. Automate Messages: Much of the time, your emails can have the same copy for several clients. Automate your emails so you can save time writing out every individual email. 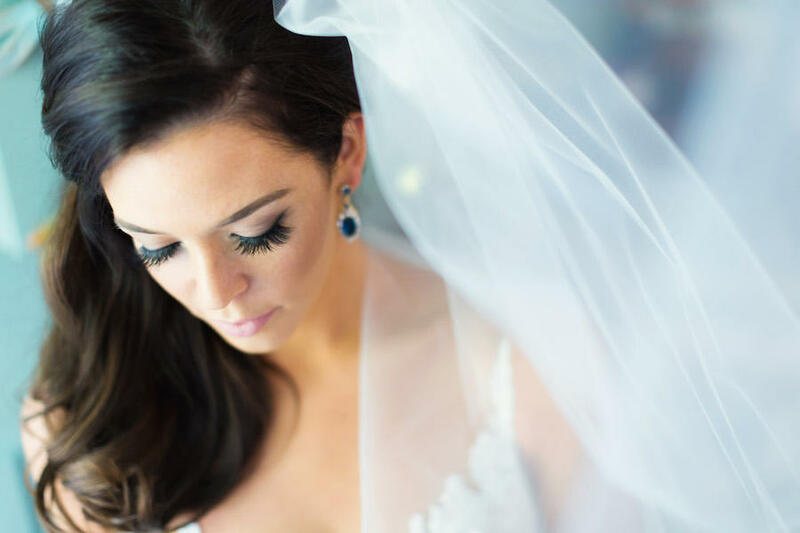 Leeann Marie, Wedding Photographers is known as the “Photographer Systems Queen” for her ability to implement effective systems into her business. In addition to outsourcing her wedding photo editing needs to ShootDotEdit, Leeann uses IFTTT. IFTTT creates “recipes” to connect your various social media platforms. Understand the 3 roles you play in your company. Divide your workload into those 3 sections to become a better business owner. What do you need to do to become The Entrepreneur? What do you need to change to focus on your artistry? How do you transform into The Manager while maintaining your other 2 responsibilities? Create systems that will allow you to speed up your workflow. Use workflow hacks that keep your systems organized and help you to stay on track. Outsource time-consuming things, like wedding photo edits. Write down everything you do in your daily workflow. What needs your attention and what can be done by someone else? Have 2 tasks in mind you can give to someone else. For you to effectively grow your photography business, your workflow needs to be efficient, both in time and productivity. Once you shoot the wedding, your clients are anxiously awaiting their images. When photographers edit, it takes a lot of time away from other important tasks, especially because wedding photography editing is one of the most time-consuming parts. Thankfully, there are plenty of workflow tools to help speed up the time you spend working on your images. If not focused on the task at hand, culling can become a tedious and disorganized part of your workflow. You need a system in place that allows you to review, sort, and prepare your images for editing as quickly and painlessly as possible so you can continue with your post-shoot workflow. Creating a workflow for how you cull is extremely important and can save you hours of unnecessary work. Programs such as Lightroom have the functionality of tagging and rating images during a cull; however, there is one program that stands out as the most efficient to many photographers: Photo Mechanic. Touted as a standalone image browser and workflow accelerator, Photo Mechanic allows you to cull, sort, tag, and prep your images in a timely manner. It also has a great export feature, so when you are finished culling, you can pull the chosen images back into your editing program and start your post-production work or outsource to a photo editing company like ShootDotEdit. It uses the embedded JPGs found in your RAW files to view the images – this means there are no previews that need to render, which eliminates the lag time. All tagging and color labels are customizable to your needs. Any tags or starred metadata will be saved and can be viewed in your Lightroom Catalog. While most photography is an art, color correction is more of a science. Color correction is about bringing all your images to a consistent, normalized point. The most common program for color correction is Lightroom. While this program is designed to help you create an efficient workflow, editing is still a time-consuming process. Balancing for exposure, color, and contrast is an arduous task, and this is what takes up the majority of your time in post production. Rather than editing wedding photos yourself, consider the choice to outsource photography editing to a Specialist. ShootDotEdit, a photo editing service, teamed up with Jared Platt, the industry leader in Lightroom, to create a robust Lightroom workflow with advanced tips, as well as shortcuts that will speed up the process. This workflow provides a fast way to send and receive images that will give you countless hours back that you can use to grow your wedding photography business. Plus, when you send your images to a professional photo editing service, you can trust that your images are in good hands while you work on other parts of your photography business. With Lightroom CC part of the Creative Cloud, it makes editing your images faster than ever before! The ability for you to utilize the most advanced version of Lightroom allows you to increase your workflow speed and spend more time on other parts of your business. Invest in Lightroom Mobile: Now that Lightroom is part of the Creative Cloud, you can take your images anywhere you go, on any device you want. Use Facial Recognition: With the newest version, you can categorize and organize images based on one person – think of the time you can save with this brand new feature. Notice the Speed: The time it takes to import and export images is significantly reduced, allowing you to work on your images faster. Tip: Use Extra to host your images and present to your clients. Not only will ShootDotEdit take care of your wedding photography post production needs, but your images will be loaded to Extra for you and you’ll receive checks for your print sales, commission free! Workflow expert, Jared Platt, is known for utilizing post-processing tools to increase his productivity. He is an advocate for Lightroom’s many time-saving benefits. After you shoot a wedding, do you have a plan in place to sell prints to your clients and their loved ones? If not, you are missing out on more money from print sales. By selling prints and giving clients the opportunity to purchase them, you could be increasing your profit drastically! Our newest service, Extra, is complimentary with our Annual Plans and is a simple way for you to share your images with clients after the wedding day. Not only can you outsource your color correction to wedding photography editing service, ShootDotEdit, but now Extra can also increase your profit without any more work on your part. Imagine this: you shoot a wedding on Saturday and send it to ShootDotEdit on Sunday. Your images are color corrected and placed on Extra by Wednesday, which is when you send the gallery link to your clients, as well as their family and friends. By Thursday, Extra is already selling your prints and making you more money! Click here to learn more about Extra and how we can make you more money from every wedding. With tools such as Photo Mechanic for culling, ShootDotEdit for color correcting, and Extra for sharing and selling prints, photographers can get their turnaround time from shoot to client delivery reduced to 1-2 weeks, saving an average of 6 weeks. Delivering beautiful images to clients FAST increases their happiness. Happy clients spend more money and will share their great experience with others. FAST delivery keeps your business efficient. What program do you use to cull your images? How long does the culling process take you? Do you have a clearly defined workflow to review your images? Write 3 ways you can speed up your cull. (Hint: We highly recommend Photo Mechanic!). Take a look at your color correction workflow. How long does it take you to apply basic color correction to an entire event? How long do you spend on artistic edits? A photo editing company like ShootDotEdit can do your post production work and have your images back to you as fast as 48 hours! How can you create a faster turnaround time and make clients happier? Write out each step of your entire post-shoot workflow. Where are you spending the most time? Write 3 ways that you can speed up your workflow and have a faster turnaround time for your clients. Once your plans are in place and you know what goals you want to reach (both short-term and long-term), you can begin building for growth in your business. There are many aspects of your business to work on – from your website, to marketing, to social media, as well as connecting with clients and vendors, you’ll have plenty of ways to build for growth. The more you focus on the important parts of your business, the easier it will be to maintain your growth and create an established brand. When you first thought about how to get started in photography, did you imagine it would have so many details? With proper planning, you can create and achieve goals that help you grow each year. Find out how you can prepare for additional growth in your photography business through marketing to your ideal clients. Our free Guide to Marketing for Wedding Photographers shares how to market your photography business to book more clients and secure the longevity of your business. Download it today! 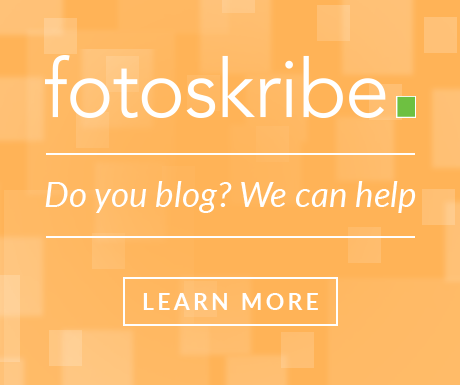 → Specializing as a Wedding Photographer: Why Is It Important?